I made a fun treat bag for my project. 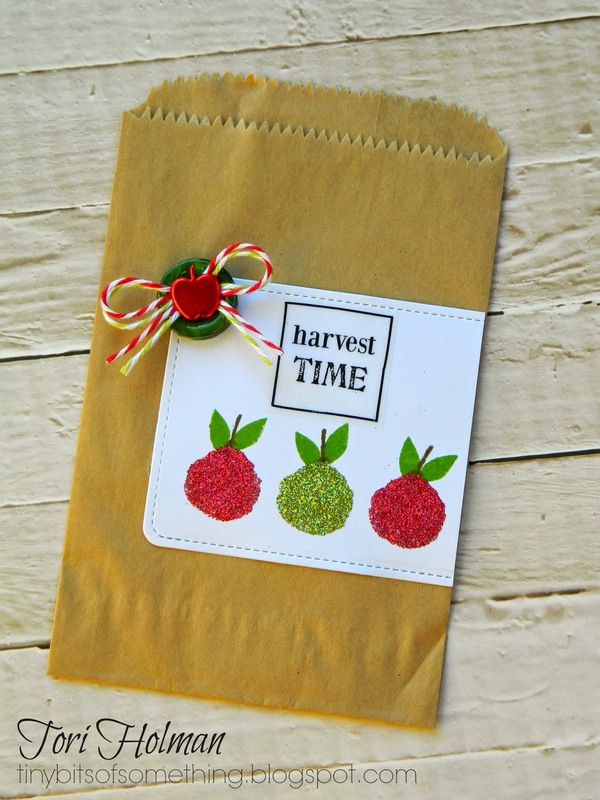 The bag is an SRM kraft bag and they are perfect for gifts and little treats. I stamped the "apples" using a set that is supposed to be for building flowers. I didn't have an apple stamp but thought this was pretty close. Real apples are not perfectly round so I think that's why this flower stamp works. I love taking stamps and using them in a different way then they were made for. I also bought this fun new product from ranger, sticky embossing powder. I love glitter but it is so messy I don't use it a lot but with this product I think I will be using glitter a lot more. I will do another post on this sticky embossing powder. 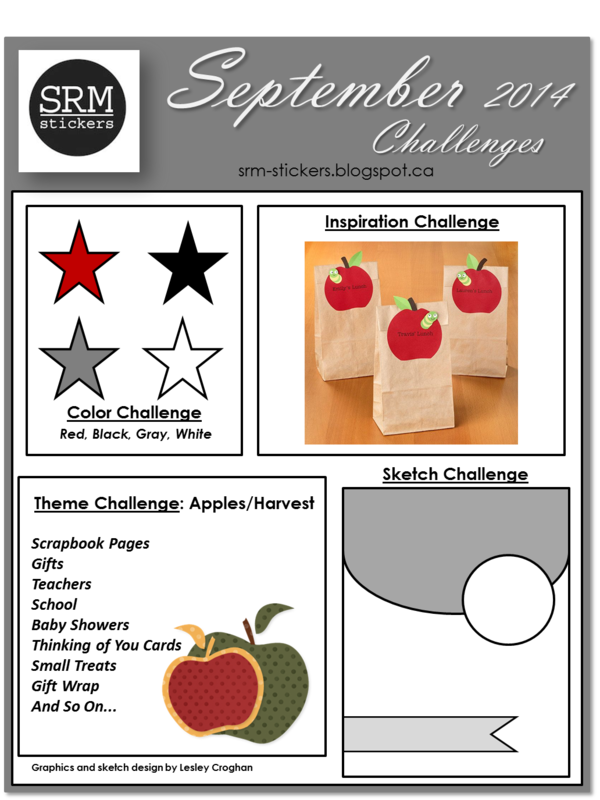 Please stop by http://thesrmchallenge.blogspot.com/ and play along! I cant wait to see what you create.